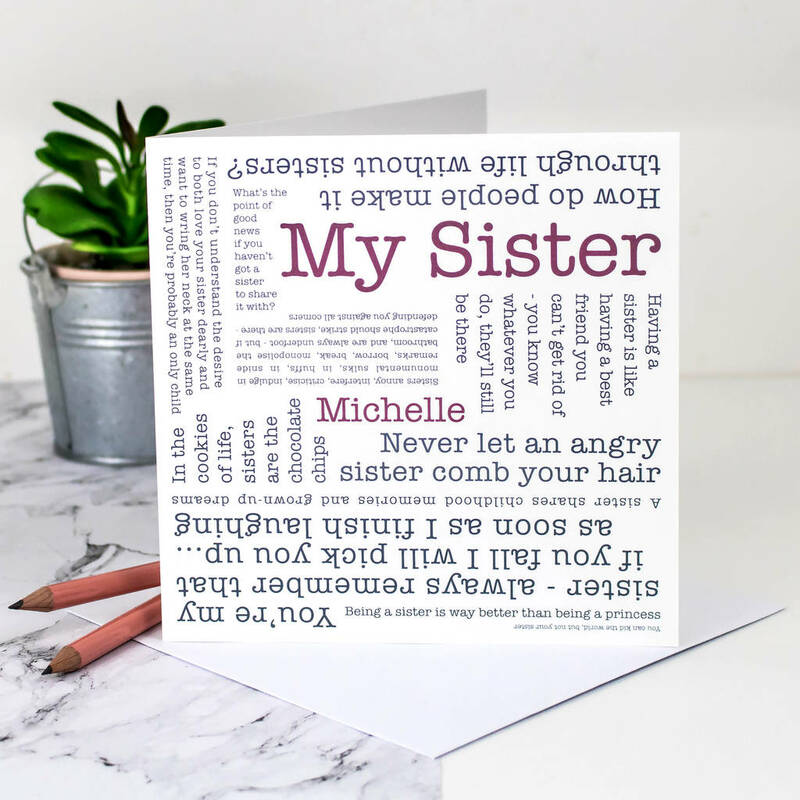 How much about being a sister can you squeeze onto one card? 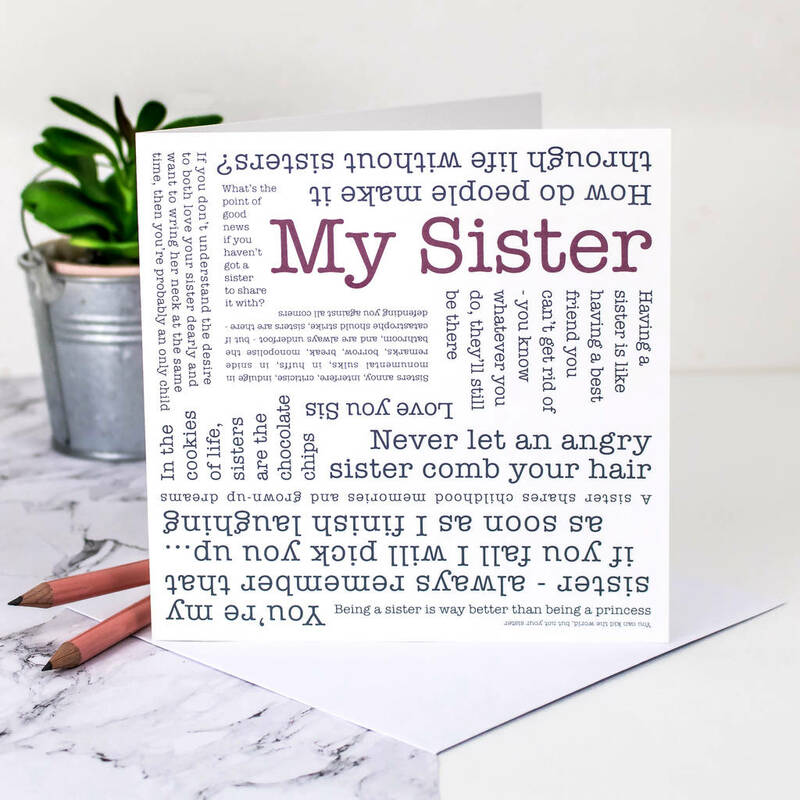 A lovely birthday card for your sister that can be personalised. Never let an angry sister comb your hair. Love you Sis. How do people make it through life without sisters? A sister shares childhood memories and grown-up dreams. The text is dark grey with the words 'My Sister' highlighted in purple. If you choose to personalise this card the name will be highlighted in purple, the same colour as the words 'My Sister'. 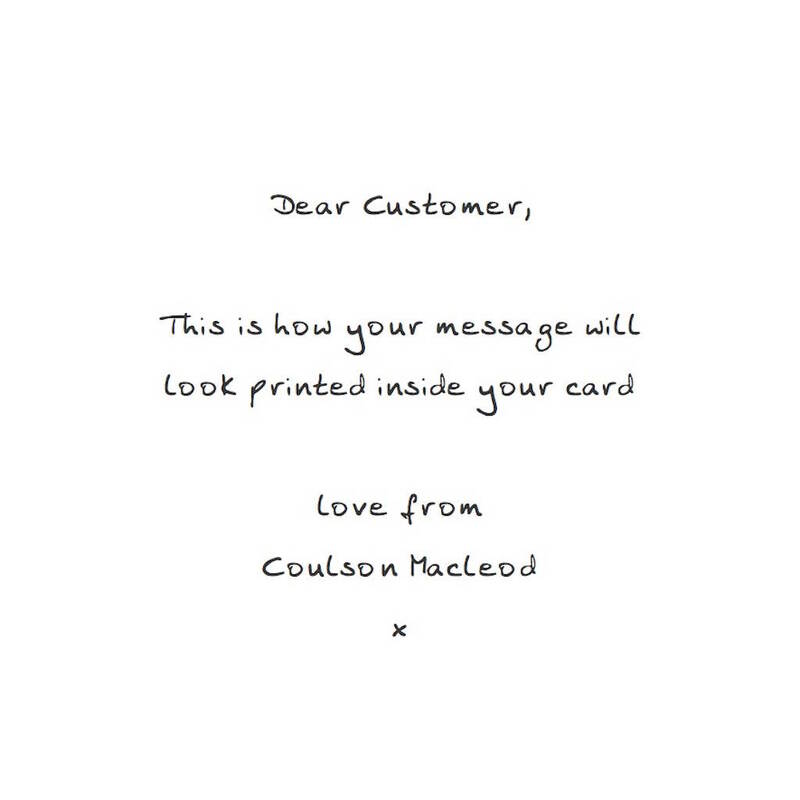 We do not send you a proof so please make sure you spell the name correctly when you type it into the box. 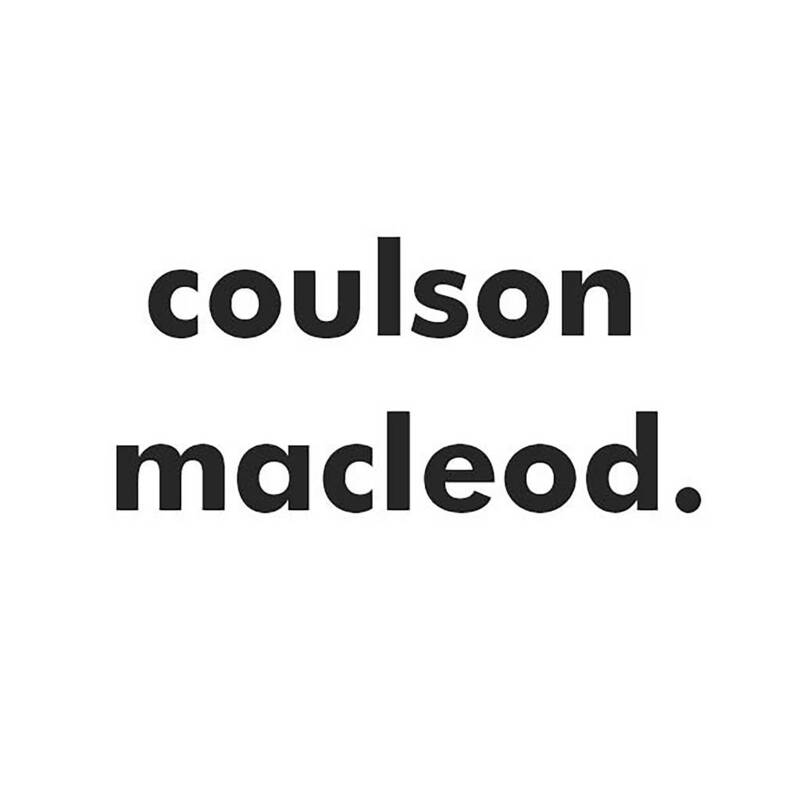 Uncoated 300gsm heavyweight textured matte paper.